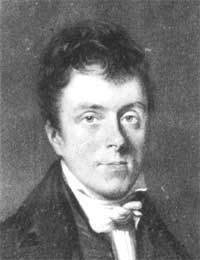 Henry Martyn (1781 – 1812), Anglican priest, missionary to the peoples of India and Persia. He arrived in India in 1806, where he preached and occupied himself in the study of linguistics. He translated the whole of the New Testament into Urdu, Persian and Judaeo-Persic. He also translated the Psalms into Persian and the Book of Common Prayer into Urdu. He died in 1812 and is remembered for his courage, selflessness and his religious devotion.